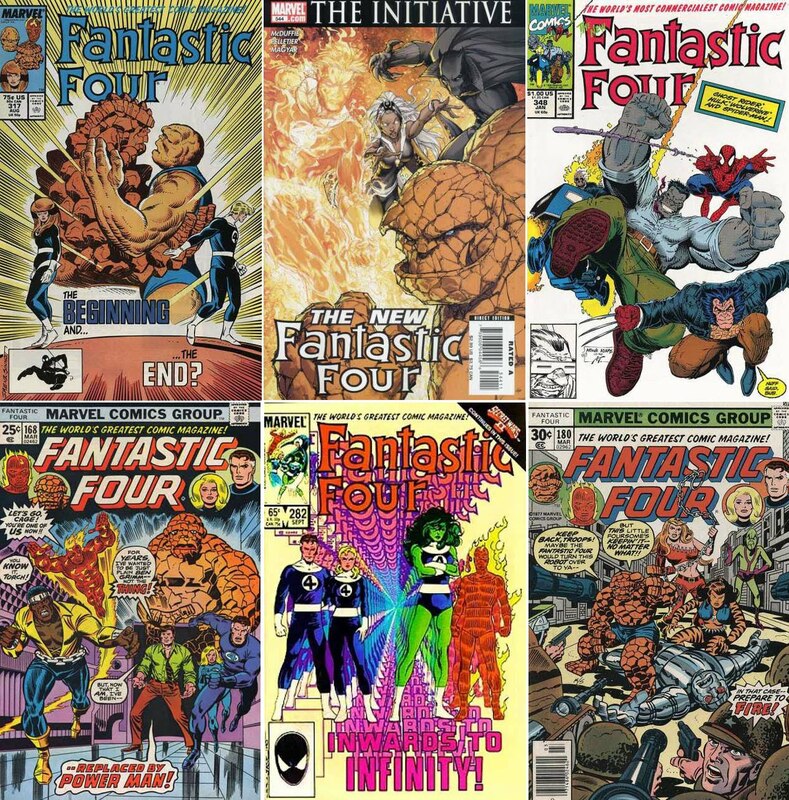 It's A Dan's World: THE USUAL SUSPECTS: Which Of The Fantastic Four Will Die? Which Of The Fantastic Four Will Die? 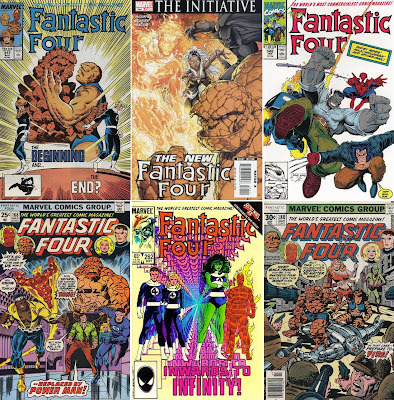 This time next year there won’t be a Fantastic Four book at Marvel. That is just one of the bring-back-Bucky level of changes heading the way of Marvel’s first-family, and it all kicks off in September’s Fantastic Four #583. 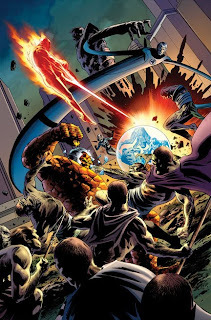 While you can get the run down of Marvel’s "next big thing” here or here, what you need to know is Doom’s back to stay, Steve Epting’s on pencil duty and one of the four will croak before the storyline ‘Three’ is over. ...the Human Torch. Reed's already 'died' once, taking out The Thing would be like the Rolling Stones without Mick Jagger and Sue... well I just don't think it's her time. So as concrete as that evidence is, sorry Torch I think it's your goose that's cooking. Now that's done, who of the four do you think is taking the big dirt nap? The torch seems to be the softest and most sensible target. Too obvious? Maybe. I think the writers might go down a different line and it could well be curtains for the man with the gruff exterior but with the heart of gold. That's not going to be good news for his New Avengers membership, that's for sure. But I guess if a living Wolverine and Spider-Man can be on every Avengers team, then there's room for a dead Thing on at least one, eh? Taking out the Thing would be the ballsiest of ballsy moves on Marvel's part Jonny - but who knows what thoughts are rockin' the boat right now at the House of Ideas. Like TomO said, being part of Avengers-mania might save Ben's life, but if everyone whose died and come back suddenly stopped being an Avenger the roster would be allot easier to manage!